What we see, over and over, is that if you do not engage in proactive compliance efforts, you will find that you still end up paying for compliance – only it will be through penalties, reputational issues, and product delays. Penalties come in multiple forms: financial fines, limitations on activities, additional barriers to approval and even prison. Even if your organization is not given an actual penalty, an investigation by a government body will cost you many hours of work and potential legal and contractor fees. The list of companies receiving penalties is long, just recently BMW was fined 10 M Euros by South Korea for a failure to comply with recall regulations and notify the government quickly in time about a product recall. This week, Google was fined 50 M Euros for breaches of France’s data privacy regulations under GPDR. 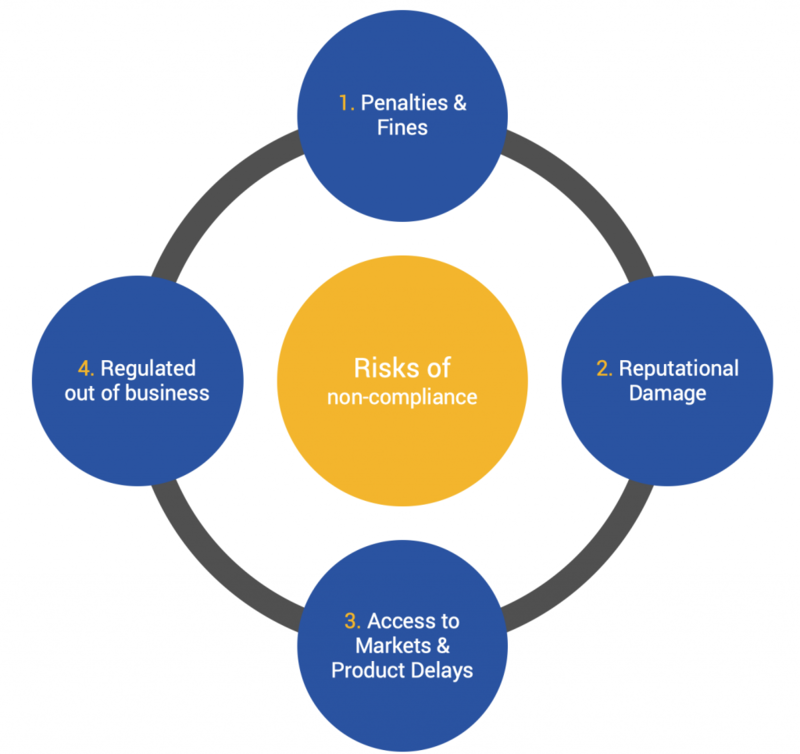 To minimize your risk of a penalty or fine, you should take a look at our six step guide to comprehensive compliance and focus on implementing a robust compliance framework. To minimize your risk of a penalty or fine, you should take a look at our six step guide to comprehensive compliance and focus on implementing a robust compliance framework. Documentation, follow-up, and tracking will be the key pillars of your system. In the 1990s, the famous Kathy Lee Gifford was caught in a maelstrom of controversy when her clothing line was found to be produced in sweatshops that used child labour. Investigators went on to find similar issues with many other companies such as Nike. Many of these companies have dramatically improved the management of their supply chains, but the initial media frenzy caused a substantial reputational cost. Despite years of effort, many companies have failed to implement the most basic audit and compliance efforts in their supply chain. Just last week the Spice Girls were found to be manufacturing their t-shirts promoting gender equality in horrible sweatshop conditions in Bangladesh. Few years ago, companies like Joe Fresh were caught flat footed when one of their suppliers lost 1,134 workers in a collapse of a building in Bangladesh. The building obviously did not meet basic Building Code requirements – let alone health and safety issues. The lack of management of suppliers remains a huge challenge and a substantial financial concern for many international businesses. Ensuring compliance in your supply chain is a significant challenge and is often put on the back-burner until a scandal explodes. One of the most financially damaging events a company faces is having their products blocked at the border, forced to issue a recall or forced to destroy merchandise due to compliance issues. Just this past Christmas, I went to buy my favourite Italian cakes that contain a little bit of alcohol. The store informed me that the cakes were held up at the border because the cakes had 0.7% alcohol and in Canada, you need a permit for anything above 0.5% alcohol (Act respecting offences relating to alcoholic beverages, CQLR c I-8.1 – note the ambiguity in s.102 about food!). There was not enough time to get a permit for the Christmas season and both the retailers, the distributors and the manufacturer took a substantial financial hit during one of the busiest times of the year. Next year, they will send cakes with only 0.5% alcohol. How much did that knowledge gap cost them? On an even larger scale, a car company in Brazil was introducing a new minibus vehicle. During the design process, they validated all of their safety compliance issues – airbags, seatbelts, breaks etc. It then took 12 months to ramp up the production of the vehicle and build the first thousands of units. The company was getting ready to send the cars to the dealerships across Brazil when they realized that the safety regulations concerning seatbelts had changed during the production period. The company was getting ready to send the cars to the dealerships across Brazil when they realized that the safety regulations concerning seatbelts had changed during the production period. They now needed to replace all the seatbelts in thousands of vehicles to be able to sell them on the Brazilian market. The cost was in the millions. Once in a while, governments will actually regulate activities out of business. This can be a specific chemical product, an activity that is deemed dangerous to society or something that is no longer considered moral. California recently banned the sale of non-rescue animals in pet stores – potentially putting the end to many puppy mills. The list of industries that have come under strict regulation is long and growing – cigarette companies, lead in gasolines & paint, asbestos products, SO2 emissions, and various chemicals such as DDT. You may think that your business is immune from such dramatic action, but public opinion can turn quickly. You may think that your business is immune from such dramatic action, but public opinion can turn quickly. Other businesses that may be subject to strong regulation include online advertising and data gathering apps, blockchain related technology or even the meat industry that is coming under increased scrutiny. Robust compliance programs are hard and expensive. 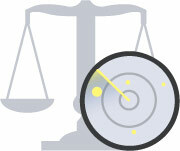 However, a lack of compliance or a sporadic compliance program is even more expensive. Your organization is operating in an international, complex and evolving market and to stay competitive you need to ensure ongoing compliance. The best way to do this is with a proactive and organized approach to compliance that covers various activities – HR, EHS, product design and stewardship, and import and export regulations. Contact Nimonik to discuss how we can help ensure robust compliance.